Adding SPARKLE to the SILVER LINING of your GOLDEN YEARS! 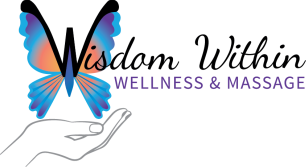 Wisdom Within Wellness & Massage was created with a vision of helping the Caregivers and Seniors in our community to connect to their sparkle. Our mission is to support them to embrace their journey through aging and empower them to explore their wellness solutions to create a life of maximum vitality and fulfillment. Chair massage helps us bring immediate physical relief and connection to our clients. Companionship visits offer our clients a comforting level of support. Wellness Coaching connects them to their emotional purpose, their desires, their goals, and to themselves. 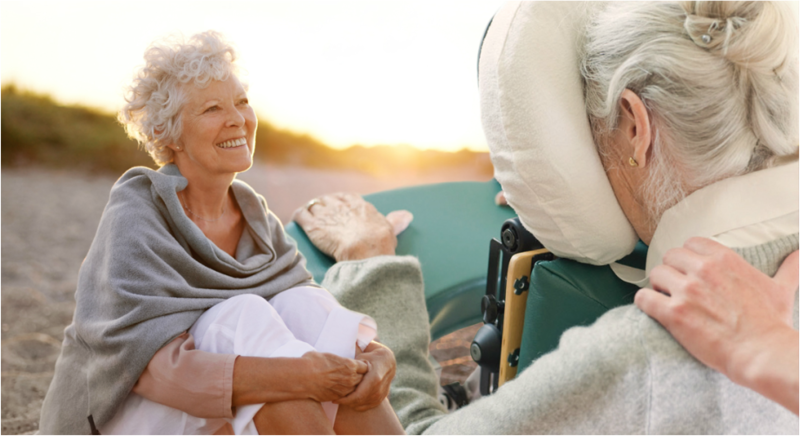 These emotional and physical connections we provide are the preventative keys to our clients increasing their longevity and enhancing their quality of life. ​Our goal is to become a trusted partner that supports the entire family by customizing wellness care for both the Caregiver and their Senior. At Wisdom Within, we honour the belief that everyone’s idea of wellness is unique, and understand that each person has a different image of what ‘healthy aging’ means to them. Each person holds their personal truth, their “Wisdom Within”, and we will inspire them to discover it. We motivate clients to discover and set their individual wellness goals, and support them to succeed. Everyone deserves to feel the power of connection, to be touched and to be heard. By empowering clients to find their ‘sparkle’ and ignite their purpose, we can create a ripple effect of bliss and balance throughout our community. After years of working my way up within a small-turned-corporate-company, I found myself successful, yet unfulfilled. After some much needed self-reflection I realized that I was not where I was meant to be. I yearned for a life of positive purpose, which to me meant channeling my energy in a creative and compassionate way to help others. At that time I had coincidentally become my Grandmothers Caregiver. I started to realize how difficult it could be to navigate the system and care for a Senior. It pained me greatly to see some Seniors struggle with isolation and depression at such a critical time in their adult lives. In turn I also witnessed how stressful the life of a Caregiver could become, facing their own challenges of aging while caring completely for another. I decided that my professional focus would be to help both our Caregivers and our Seniors find to their sparkle, focus on their silver lining and live their absolute best golden years. I successfully completed both the Senior Wellness Practitioner Diploma Program and the Chair Massage Provider Course, and once I became nationally certified, my career in Senior Wellness was born! I am looking forward to enrolling in a variety of courses in the future, to keep my skills sharp and my perspective fresh, and to ensure that I will be the best wellness advocate for my clients.